There’s this one thing with travelling. Whatever you do, whatever your reason to go to any particular country, there’s one thing you always need – food. Of course, you can eat just any old thing, but why would you, if you can have a super delicious or a super healthy meal, or both, or loads of other kinds of meals – but the main thing is they can be delicious. One of the pearls among southern Stockholm coffee spots, this concept store combines a cafe, tea and coffee rooms and a training space (in case you feel like learning something new when travelling). 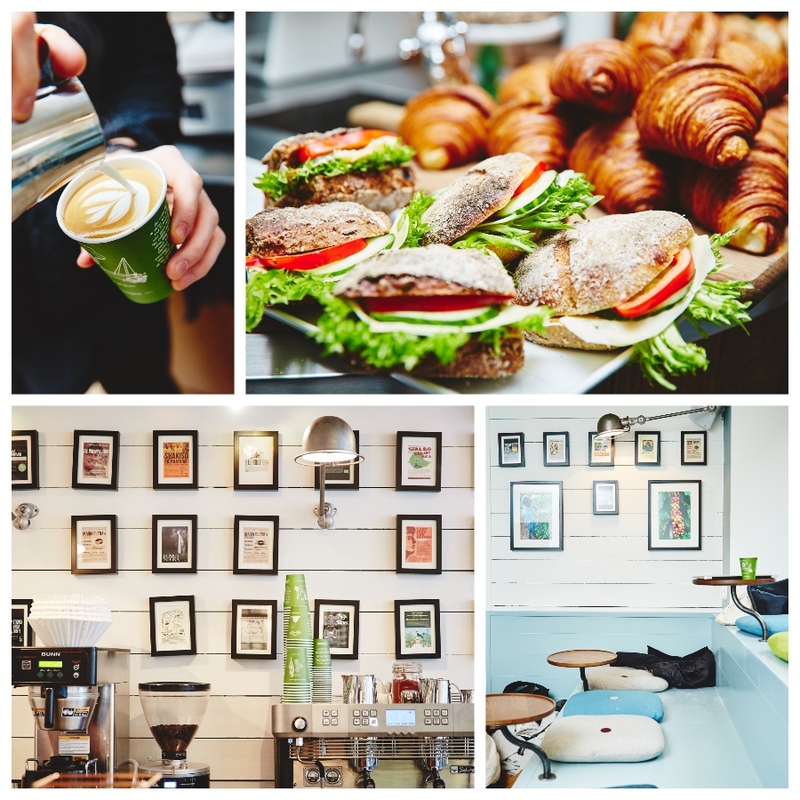 It’s featured in the Best Cafes of 2014 list, voted second best coffee spot in Europe and Sweden, and these are just a few of its measurable achievements. If you’re lucky, you’ll have your coffee made by the barista champion of 2014, and even if it’s made by any other member of the staff, the coffee will certainly be top notch. Organic milk, an impressive variety of organic beans, a perfect cappuccino, espresso, V60 and every specialty coffee possible. And you just can’t help treating yourself to one of the excellent cardamom pastries, cinnamon buns or croissants to go with that coffee of yours. Plan to stay for a while – this place is just too good to leave in a rush. And they roast their own coffee. Every fan of ice cream in southern Stockholm knows that the best ice cream this side of town is found at 18 Smaker Glassmakeri. Out of season you’ll always find 18 different flavours, liquorice, vanilla and chocolate being the classics and constant menu staples, while the rest is ever changing. You’ll also find vegan ices like saffron, coconut or oat milk with chocolate, as well as a selection of sorbets very much worthy of vegan tastebuds. And all the rest is determined by the season and the hearts of the owners and icemakers – caramelised nuts and caramel, pistachios, milk chocolate, walnuts, strawberries and so on. The number of flavours available in season may even stretch into the 30ies. Everything, except for extras on the side like calvados or another drink, is organic. Besides ice cream, you can order a creamy milkshake or sundaes of various sizes – they’re just as classic as everything else on the menu.